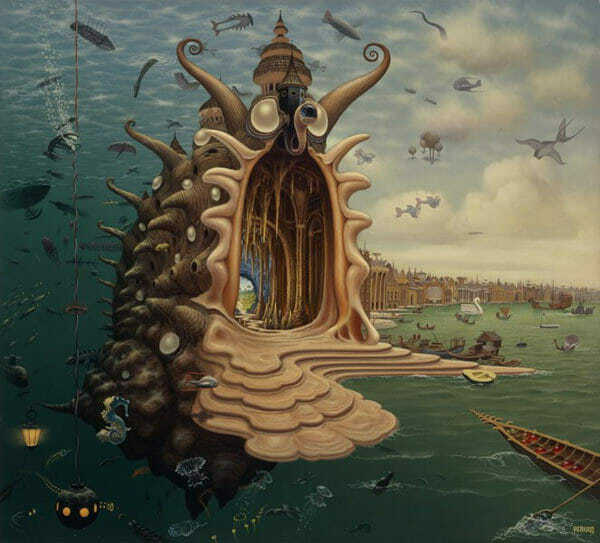 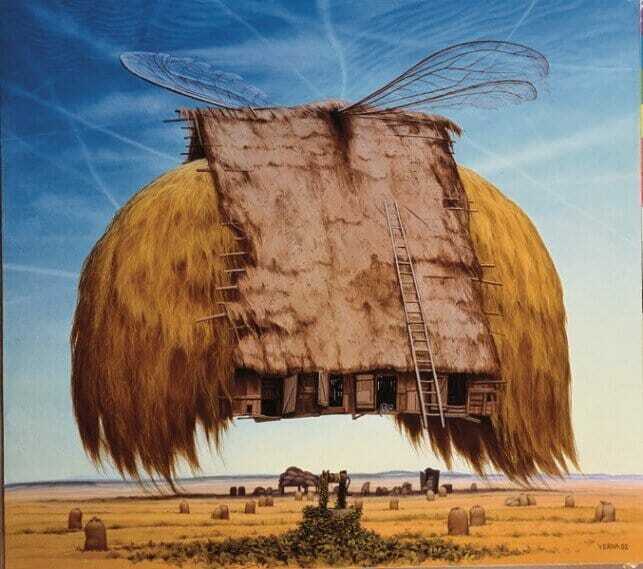 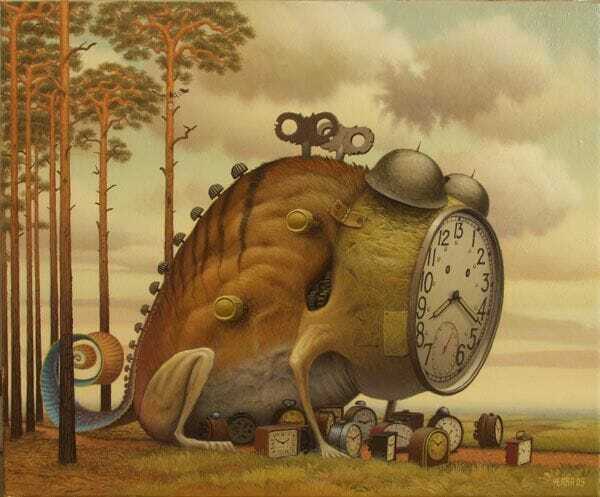 Jacek Yerka is a Polish artist with an incredible imagination. 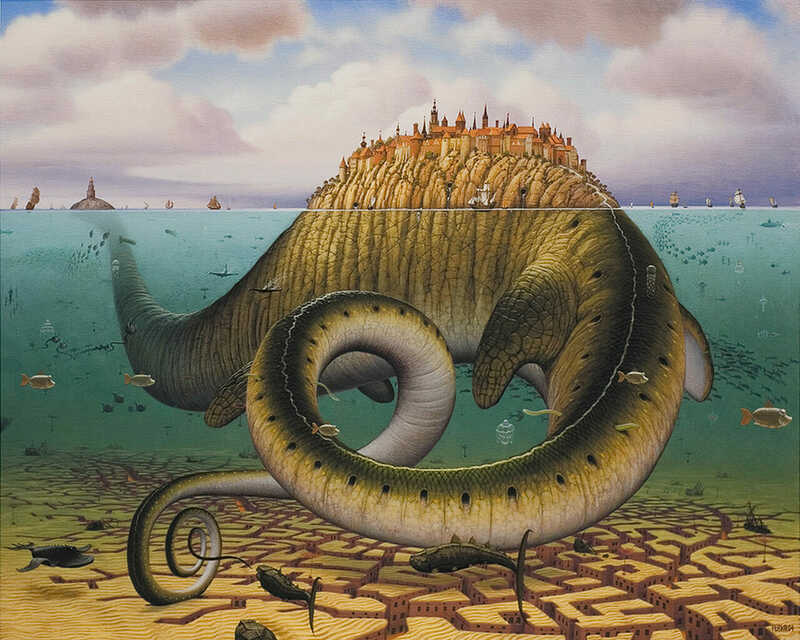 He holds the 1995 ‘World Fantasy Award’ and its easy to see why. 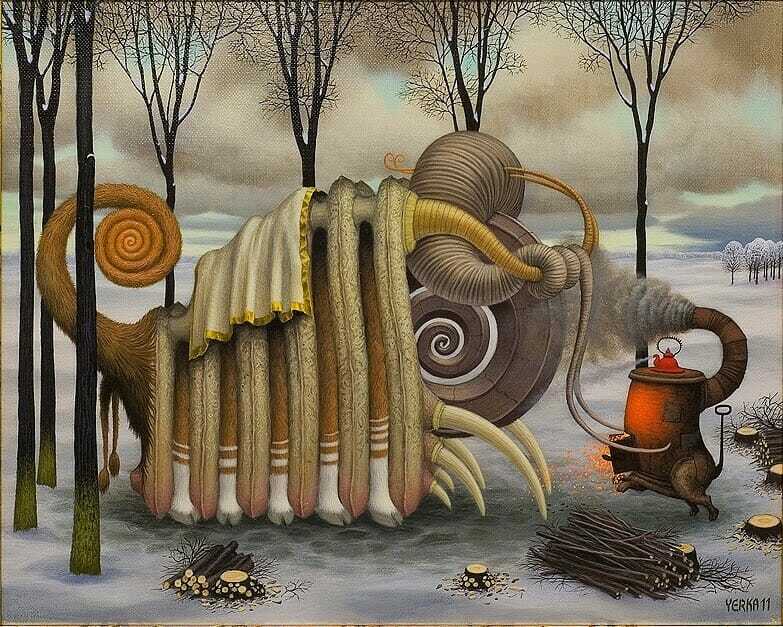 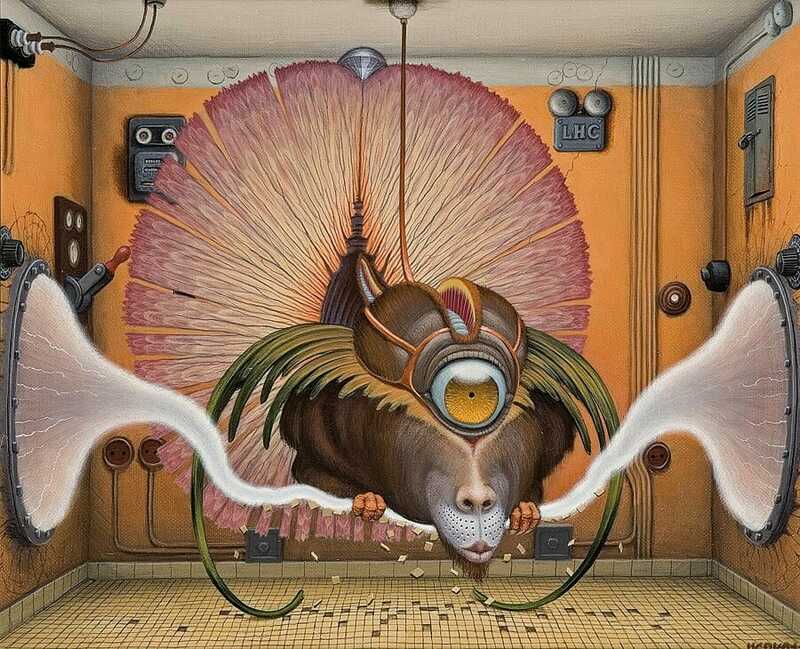 This surreal master is a graduate of the Faculty of Fine Arts at the Nicolaus Copernicus University in Torun. 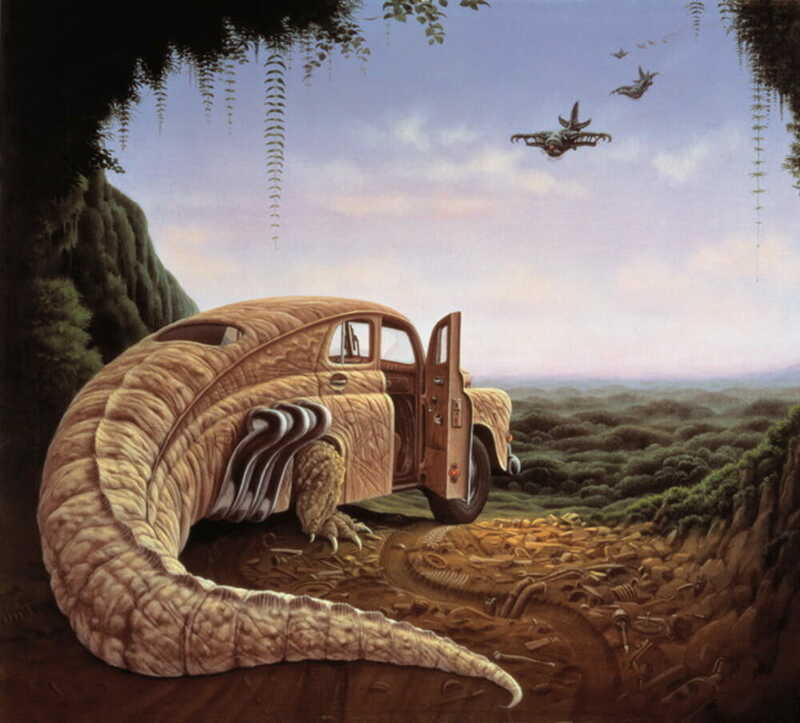 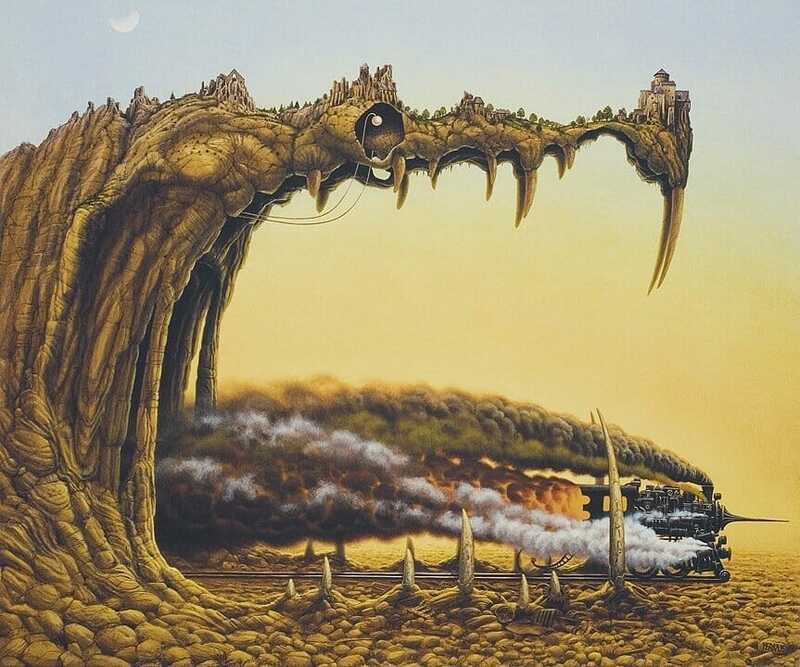 Nicely, you can buy his prints from Yerkaland, his official site, and each purchase comes with an accompanying certificate. 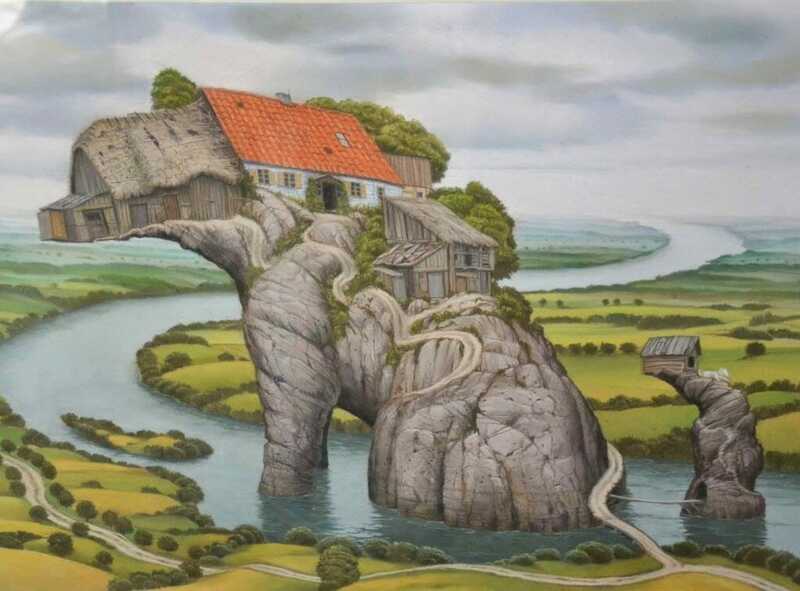 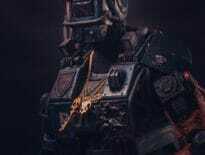 Images from the Geek Art Gallery.